Don’t miss our 7th annual Prime Networking Event in January 2019! 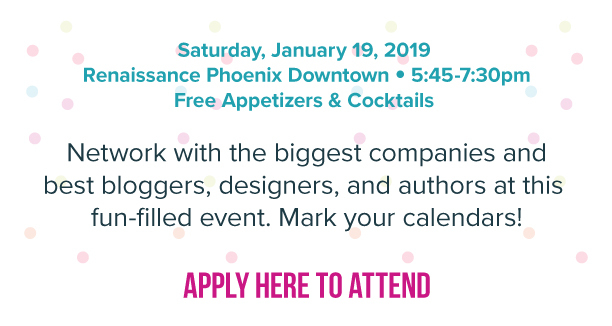 At this event, the best bloggers, designers, authors, and brands in the craft industry come together for one night to make new connections and make big plans for the upcoming year. RSVP today! -At the Networking Event, anytime after 5:30 on. Doors open at 5:45. Bloggers chosen for this event will receive contact information for all sponsor companies at the event and your information will be shared with those company’s contact as well. IF YOU DO NOT HAVE A TICKET, YOU WILL NOT BE ALLOWED INTO THE EVENT. NO EXCEPTIONS.